Are you looking for a quiet town with limited shops and beautiful beaches? Then Valla Beach is the holiday destination for you. Great beaches for the experienced board rider, Para sailing, sail boarding, fishing, beach walking and family picnics: this small town has it all. This tranquil town is just off the Pacific Highway, 35 kilometres south of Coffs Harbour. Imagine sitting on your board just after sunrise and a dolphin joins you on the wave. Valla Beach is well known for Dolphins and you will also see Humpback whales during their migrations north and south. The beach is quiet, both in and out of season. North Valla Beach has great surfing but it is not patrolled. South Valla Beach is patrolled only during the Christmas Holidays. Council have placed warning signs on the beach warning of the hazards. The quiet waters of Deep Creek presents safe swimming for children and is popular as a picnic area for families not interested in walking out to the ocean beach. Valla Beach is also popular with shell collectors, the prized cowrie shells can be found washed up on the previous high tide. 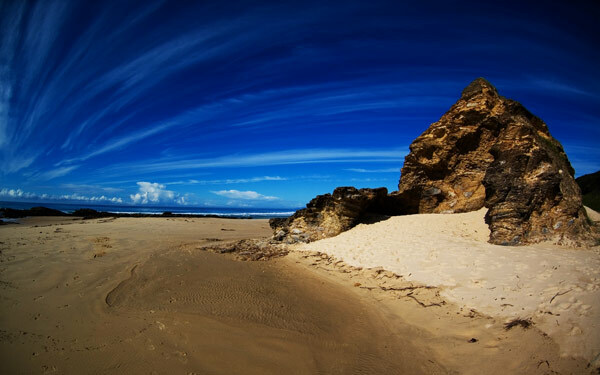 At low tide it is possible to walk to Nambucca Heads which is just 3 kilometres south. The inquisitive tourist will find rock pools that are lovely safe swimming holes. Accommodation is no problem. The town has a very big tourist park offering powered and unpowered sites as well as cabins for all tastes. The beautiful beach of sun drenched golden sands is a quick walk from the camp over the footbridge crossing Deep Creek. There are two Bed and Breakfast options in Valla Beach. One is in town and offers a spacious suite in the private and peaceful environment of a natural bush setting beside the beautiful Pacific Ocean; while just west of the highway you find a farm stay type accommodation. From every window of your unique cottage you have spectacular ocean and mountain views.